Racially and ethnically diverse older adults are one of the fastest growing population segments in the United States and new research presented today at the Alzheimer’s Association International Conference on Alzheimer’s Disease 2010 (AAICAD 2010) in Honolulu reveals that older African-Americans and Latinos with significant cognitive impairment have a lower likelihood of nursing home placement and longer survival than White older adults in the study. “These findings are particularly compelling since we found that African-Americans are about two times more likely and Latinos about one and one-half times more likely to develop Alzheimer’s and dementia,” Carrillo said. 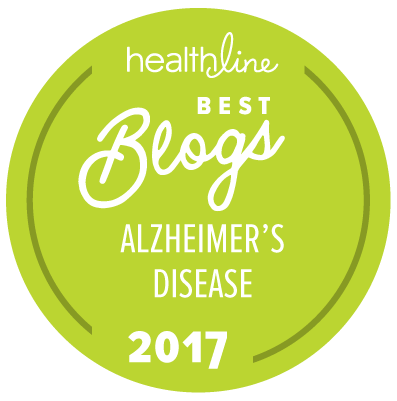 This was reported in March in the Alzheimer’s Association’s 2010 Alzheimer’s Disease Facts and Figures report, a comprehensive compilation of national statistics and information on Alzheimer’s disease and related dementias. Another study reported today at AAICAD 2010 suggests that the bereavement process and mourning experience for Alzheimer caregivers after the death of their loved one varies greatly among different racial and ethnic groups. A third research report suggested that cultural and spiritual beliefs of African-Americans, American Indians and Whites greatly influence how long it takes for a family to seek a medical diagnosis of Alzheimer’s. Few studies have examined how significant cognitive decline impacts minority older adults in the United States. Kala M. Mehta, DSc, MPH, at the University of California, San Francisco, and colleagues examined the relationship between significant cognitive decline and two health consequences – nursing home placement and mortality – in a representative sample of U.S. older adults participating in the Health and Retirement Study. More than 7,500 older people, 10 percent African-American and six percent Latino, were assessed over an 8-year period. During the study, 23 percent of participants died and 14 percent experienced significant cognitive decline. The researchers found that the proportion of persons with significant decline did not vary by race. However, of those with significant cognitive decline, older African Americans and Latinos had statistically significantly less placement in nursing homes compared to older Whites, and were statistically significantly less likely than similar Whites to die during the follow up period. Little is known about the caregiver’s bereavement and mourning experience after a family member with Alzheimer’s dies. REACH, the Resources for Enhancing Alzheimer’s Caregiver Health project led by Richard Schulz, PhD of the University of Pittsburgh’s Institute on Aging, provides some of the most comprehensive and systematic information available to date about Alzheimer caregivers. The Bereavement Component of REACH studied caregivers in three distinct racial/ethnic groups: Hispanics, African-Americans and Whites. James McNally, PhD, of the University of Michigan examined the variations among these groups, including differences in expressions of relief, anger and emotional acceptance. Study results showed that Whites and Hispanics are three to five times more likely to report a sense of emotional relief at the death of the care recipient, compared to African-Americans. The study also found that Hispanics were only half as likely as African-Americans to report feelings of anger towards the deceased caregivers while White caregivers were considerably more likely to report feelings of anger than both the other groups. Factors such as relationship to the person with Alzheimer’s, the emotional and physical health of the caregiver and their sociodemographic characteristics moderated these effects to some degree, but significant differences in the bereavement process remained among the ethnic populations examined. Increasing evidence suggests that early diagnosis of Alzheimer’s and timely intervention is beneficial, both for people with the disease and their caregivers. Earlier Alzheimer and dementia diagnosis could allow for earlier use of medications and other interventions that could help to maintain the person’s independence longer. Delays in diagnosis also mean that many miss the opportunity to make legal, financial and care plans while they are still capable. One study of 22 families, including Whites (seven), Blacks (10) and American Indians (five), examined the Alzheimer diagnostic process in a cultural context and found that ethnic minority groups often seek a diagnosis much later than their White counterparts. Led by Peggye Dilworth-Anderson, PhD, of the University of North Carolina at Chapel Hill, the study found that while all groups recognized the value of having a diagnosis, long delays often occurred between family members’ recognition of symptoms of dementia and the scheduling of a medical evaluation. The study found that, on average, African-Americans sought a diagnosis six years after dementia symptoms emerged, American Indians sought one after five years, and Whites after two years. Study results also indicated that Whites were more likely to seek support through formal services, while Blacks and American Indians turned more often to their faith and spiritual beliefs for support. In another quantitative study on dementia care led by Dilworth-Anderson, which involved telephone surveys with 200 Black and White caregivers, about 48 percent of caregivers in the study reported that the care recipient had received a diagnosis of dementia. Among those diagnosed, racial differences in access to care services were observed. Whites reported higher care recipient and caregiver service availability than Blacks, particularly direct care services (such as respite care and caregiving facilities). Blacks reported the use of home health care services for the care recipient more than Whites, and also reported having a greater availability of church resources. Additionally, Blacks reported no services being available at all at a higher percentage than Whites.